Big Data has been getting ample attention lately, not necessarily all good. Just last month I penned a piece on internet misconduct, using the recent Facebook misuse of user data, as an example. Not coincidentally, a spate of articles and opinions has ensued questioning the real value all this data provides to mankind. How popular is Big Data? Popular enough to have dedicated events attracting techies. New York City has been the location of a Big Data event hosted by the venture capital firm FirstMark. Entitled Data Driven NYC, the meet-up has been run monthly for several years by a group of tech aficionados who offer varying topics associated with the data revolution. And if monthly meet-ups in major metropolitan areas don’t sufficiently reflect the popularity and proliferation of data, how about the information in the accompanying graph from the United Nations Economic Commission for Europe (UNIECE)? 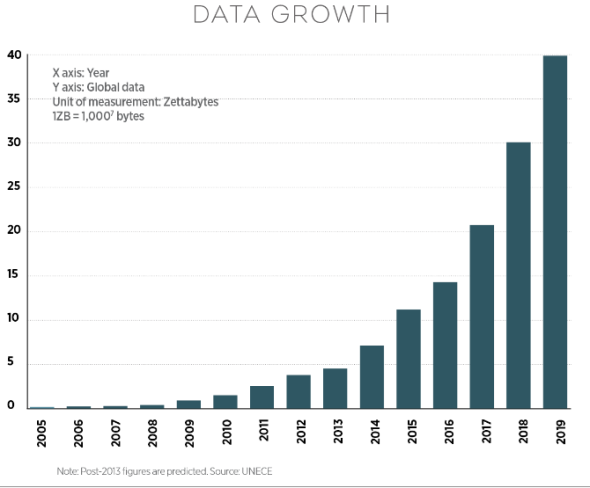 The seismic growth represented in the UN’s graph not only demonstrates global data creation over the last 10 years, but begs consideration regarding the bandwidth and networks required to process and analyze all this data. Before reviewing the potential dangers and/or controversy surrounding Big Data, let’s delve into the social good, rather than business benefits, that data can deliver. To be sure, there is a tremendous upside in exploiting data for positive, common good. SAS, whose tagline is to transform a world of data into a world of intelligence, is a software company specializing in data analytics and business intelligence. Their suite of applications includes Data for Good projects. After a 7.8 magnitude earthquake struck Nepal in 2015, over forty-thousand people were left homeless. Upon analyzing over 300 million rows of trade data, including information such as production capacity, labor migration and technical specifications, SAS was able to swiftly identify and source the sheet metal required to build new homes for the displaced. 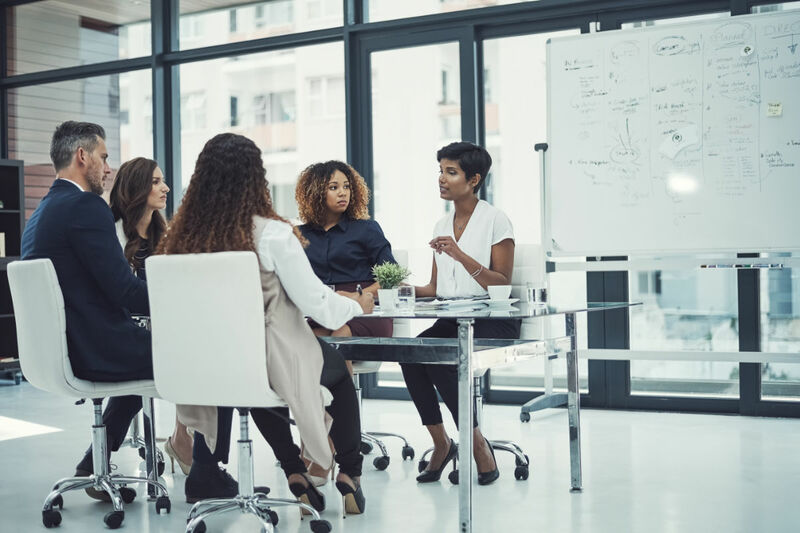 Bloomberg Philanthropies drives a program called The Bloomberg Data for Good Exchange which advocates for accelerating data science for positive social outcomes. For example, data scientist Natalia Adler partnered with Bloomberg to help children worldwide. Using Bloomberg data, they identify companies around with child labor policies. Going forward, they plan to implement network analysis to determine if these companies could influence the adoption of child labor policies across their entire supply chain. Recently, the book The Efficiency Paradox, presciently written by Edward Tenner before the Facebook scandal, explores the unintended consequences of technology and analyzing data. According to the Wall Street Journal book reviewer, the author explains how efficiency created by technology and data erodes the human skill set and potentially contributes to greater inequality in the workplace. It should be interesting to see how the use and misuse of data plays out, especially with such renewed government focus. After all, while Facebook’s stock may have temporarily tanked after the scandal broke, the stock is making a healthy recovery as of this writing.